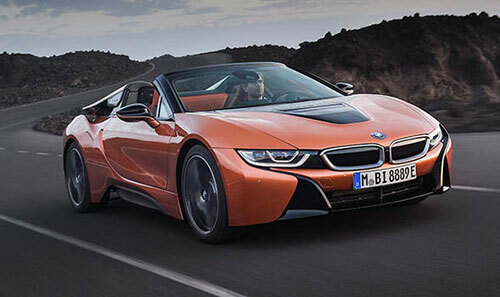 After 4 years of being launched, the BMW i8 Roadster seemed to have been forgotten about BMW. However, during the Los Angeles Auto Show, the German automaker decided to debut the 2018 BMW i8 Roadster as well as the updated Coupe. Check out other 2018 BMW models. After so many months of comments and rumors, we are now able to see the beautiful 2018 BMW i8 Roadster. So, what can the 2018 BMW i8 Roadster fans expect? After the debut at the Los Angeles Auto Show, the 2018 BMW i8 Roadster should go on sale earlier this summer. While there are no official prices released by BMW, we believe that the new 2018 BMW i8 Roadster starting price should be around $150,000. 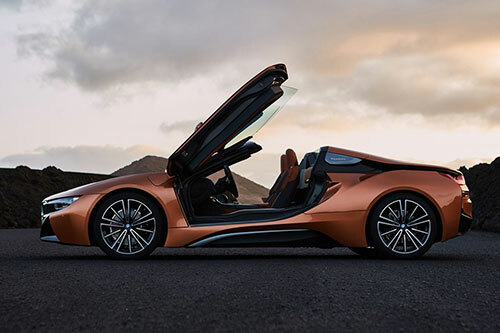 One of the things that truly caught the attention for the current BMW i8 Roadster was the up-and-out doors. If you include yourself in this group, you’ll be glad to know that BMW maintained them even though the new 2018 BMW i8 Roadster now comes with sport frameless windows. With a sleek and sporty design, the 2018 BMW i8 Roadster is simply beautiful. One of the things that you’re probably most interested in discovering is related to the roof. 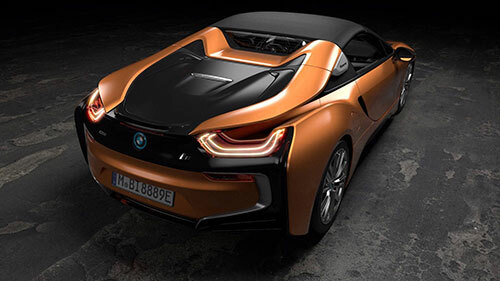 The roof of the 2018 BMW i8 Roadster is a folding fabric that will whir backward and is extremely silent. Either when you want to open or close the roof, it will take you approximately 16 seconds. One of the main problems with this kind of roofs is that they tend to take away a lot of space for luggage. However, this isn’t the case of the 2018 BMW i8 Roadster. The roof will fold in Z-shape and will be stored vertically. 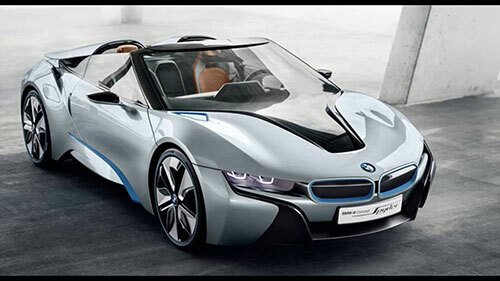 Under the hood, the new 2018 BMW i8 Roadster comes with a mid-mounted 1.5-liter petrol engine that is capable of producing 228 of horsepower and 236 pounds per feet of torque. 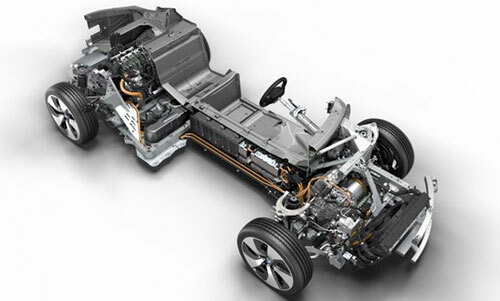 In addition, the 2018 BMW i8 Roadster also comes with an electric engine that is mounted at the front. The current generation engine was only able to produce 141 of horsepower and 184 pounds per feet of torque. The 2018 BMW i8 Roadster is a true two-seat vehicle. This ends up helping you get the extra space to store the roof. In order to both open or close the roof, you just need to hit a simple button. As soon as you do this, the rear window will automatically rise to ensure that the wind is cut and to direct it towards the rear of the 2018 BMW i8 Roadster. Ultimately, this decreases the turbulence and increases the comfort inside the cabin. In case you feel that the wind still isn’t good, just change the rear window angle by yourself. The standard version of the 2018 BMW i8 Roadster includes a new steering wheel that is sportier and is wrapped in leather. It also includes mounted shift paddles. The instrument display located behind the wheel allows you to control different functions. In terms of the seats, they include electric adjustments. In terms of the infotainment system, you can count on features from BMW Connect, 360 Electric, and ConnectedDrive. Driving Assistant and the Navigation System Professional are also included as standard.